Small coffee shop with a small smoking area. It is more like a take-away i would say. Not a large menu, but reasonable prices and reasonable quality of cannabis strains. 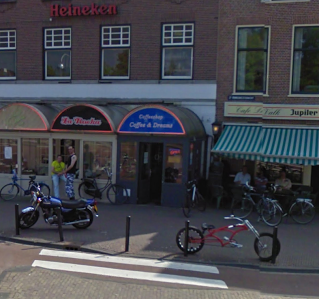 Attention, all coffee shops in Leiden open late, like it is a student city, at 17.00 hours. If you want to smoke in day time, visit the hague! Check the comments about coffeeshop Coffee & Dreams in the comments section at the bottom of the page!